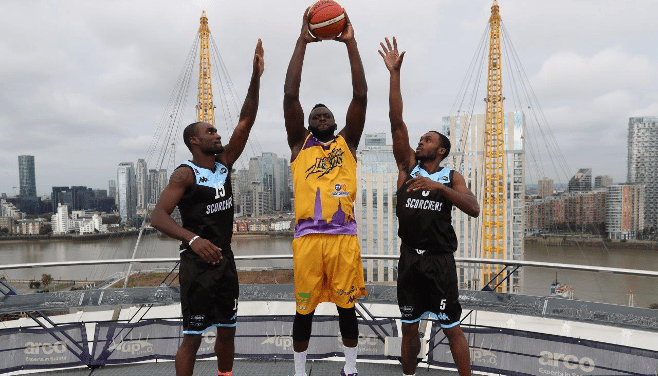 Four months on from Leicester Riders’ season-ending triumph at The O2 Arena, the world renowned venue plays host to an exciting new tournament that opens the 2017-18 British Basketball League season tomorrow. Eight teams – all having made last season’s Play-Offs – go head-to-head in the Betway All-Stars Championship with Matchroom Sport introducing a number of innovations with the lure of attracting new fans to the sport. The draw was set on Thursday with a repeat of the opening Playoffs match-ups opening the double-elimination group phase as the teams battle it out for the £25,000 prize for the winners. Leicester take on Surrey in the opener before Newcastle face Bristol. Glasgow go up against London then Sheffield play Worcester to complete the first set of games with two wins needed to advance. The event also offers fans across the league the chance to witness new faces in action with clubs undergoing a busy off-season in assembling their rosters. AJ Basi is one of seven new recruits for Esh Group Eagles Newcastle and the Canadian-born guard can’t wait to entertain the crowds at The O2. “I’m very ecstatic to be heading to the nation’s capital this weekend,” said Basi. “I’ve never participated in a basketball event like this before. “The All-Stars Tournament is shaping itself to be a very exciting event with a fast paced, fun, arcade-style brand of basketball. “It’s a much shorter game so you have to come ready to play,” said Tony Hicks of Surrey Scorchers. “The 5-point shot is a big difference and I think it will come into effect when teams are down. The event is broadcast in its entirety (1pm-6pm) on the Sky Sports Arena channel and around the world with one-day passes available with NowTV. Full team-by-team profiles coming next week in the build-up to regular season opener on Friday 29 September.